While they’ve received funding and support from generous grants in the past, the staff realized in recent years the need for their services was only continuing to grow, and the organization needed to grow with it. This realization was caused in part by the opioid epidemic that has hit Montgomery County, and particularly east Dayton, especially hard. In 2013, the East End staff was working with the police department to identify crime drivers in the neighborhood, and they discovered many crimes had to do with heroin use. East End was determined to become that front door. They continued working with the police department and other service providers over the next few years, visiting individuals who had survived an overdose to connect them with treatment providers and offer support for the families. Fortunately, they were soon met with an opportunity to expand their services to make a far greater impact, while achieving greater sustainability as well. While in Dayton looking for a research partner, the WestCare Foundation, a national nonprofit offering health and human services based in Nevada, was referred to East End to learn more about the drug epidemic. Through several conversations, the two organizations were able to learn about each other’s services, who they serve, and why. Eventually, the conversations ended with a question from the WestCare president and CEO, Richard Steinberg: Would East End be interested in joining the “WestCare family?” The answer was a resounding “yes.” On July 1, 2017, East End was acquired and legally became WestCare Ohio doing business as East End Community Services. There were a lot of things to consider when making the decision, and East End staff asked tough questions to ensure a good partnership between the two organizations. While aspects like back office and grant writing support, employee benefits, and professional development were certainly appealing, it was ultimately the aligned corporate cultures that affirmed East End’s choice. Their identity, their building, and their people didn’t need to change; the mission was the main focus. Since the acquisition, East End has received support for full employee benefits and back office operations, a family of “cousins” in organizations across the country, extensive grant writing support, and plans for a new database management system to be installed in the fall. In spring 2018, they completed six grant applications in less than two months, including one for a program for children of addicts called Camp Mariposa. At least 75 children are invited to the camp that will help teach them coping skills and, ultimately, help them be kids again. Another grant application is in process for the children’s families to help them rebuild family relationships. provides children in the community. 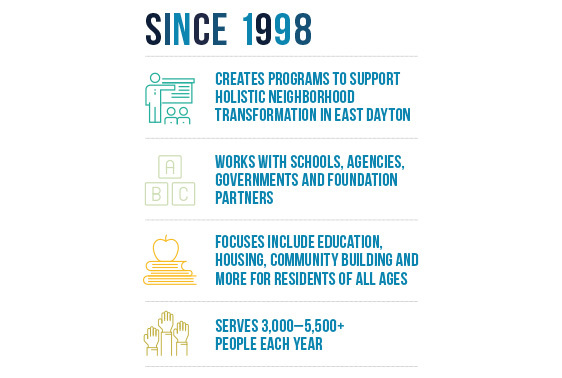 While the partnership is still new, East End believes they’re poised for positive, sustainable growth in the years to come because of the merger with the WestCare Foundation.